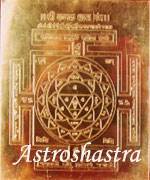 Rahu and Ketu are not planets, these are nodes and called shadowy planets. In Western astrology these are called Dragon's Head and Dragon's Tail or Ascending node and Descending node respectively. They have always retrograde motion at the rate of about 19 degrees 20 minutes per year. According to Kalidas, It owns Aquarius and rules Scorpio, exalted in Taurus, debilitated in Scorpio. It has friendly signs as Libra and Capricorn, inimical signs are Leo and Cancer and its neutral signs are Aries, Sagittarius and Pisces. But for KETU, Kalidas says that Ketu owns , exalted in Scorpio also, debilitated in Taurus and it's mool trikona sign is Virgo. Ketu has its friendly signs Libra and Capricorn, inimical signs are Cancer and Leo and its neutral signs are Aries, Sagittarius and Pisces. Generally these nodes are considered as malefic, but the general rule is that these are strong when exalted. 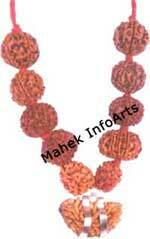 It is considered benefic when posited in 4,7,9 or 10 or 11th house where as Ketu in 3rd house. But the lord of constellation in which these are posited should be considered. The author is following the above rules very successfully and recommends the readers also to avoid controversy over the ownerships of the nodes etc. It denotes Saturn and Ketu Mars. "RAHU VAT SANI, KUJVAT KETU." It and Ketu indicate love affairs, evil thoughts, dissatisfaction, maternal grandfather, leprosy, fear complex, liar, illegal cohabitation, harsh speech, pilgrimage, denial of progeny and may one adopt, defective eyesight, ill health, amputation of body part, secluded life, insanity, wound by accident, fire, injury, delays, impediments, obstacles, disfavour of superiors and Government, renunciation, slow working, change of residence, unable to lead independent life means dependents, wicked temperament, worries due to children, financial gain, may give dual marriages, suspicious nature and mind, Jewellery and stammering . These are hiccough, slowness of action, clumsiness, intestinal troubles and diseases, insanity, leprosy, ulcer, general debility, boils, eclampsia, varicose vaines, spleen, gout, sharp adrenals and palpitation of heart. Ketu denotes the diseases as intestinal worm, epidemics, corruption, fever, low blood pressure, deafness and stammering. Gomed in iron for it and Cat's eye in steel for Ketu are the stones to be used to remove the evil effects of these planets.